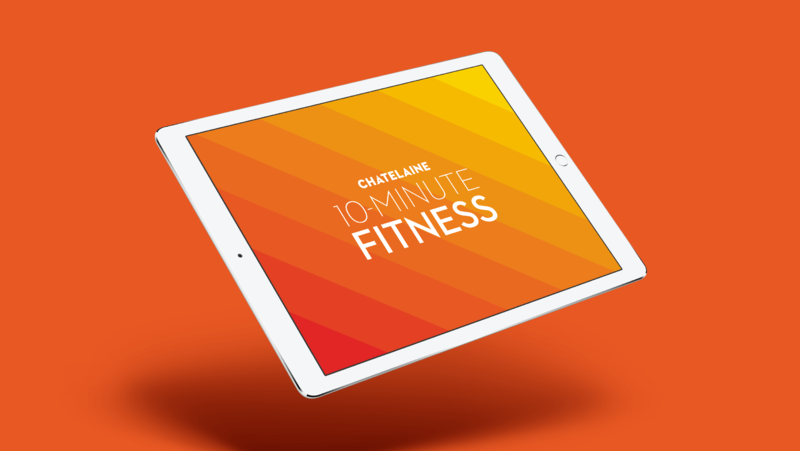 The Chatelaine 10-Minute Fitness app features video workout playlists based on a target body part. 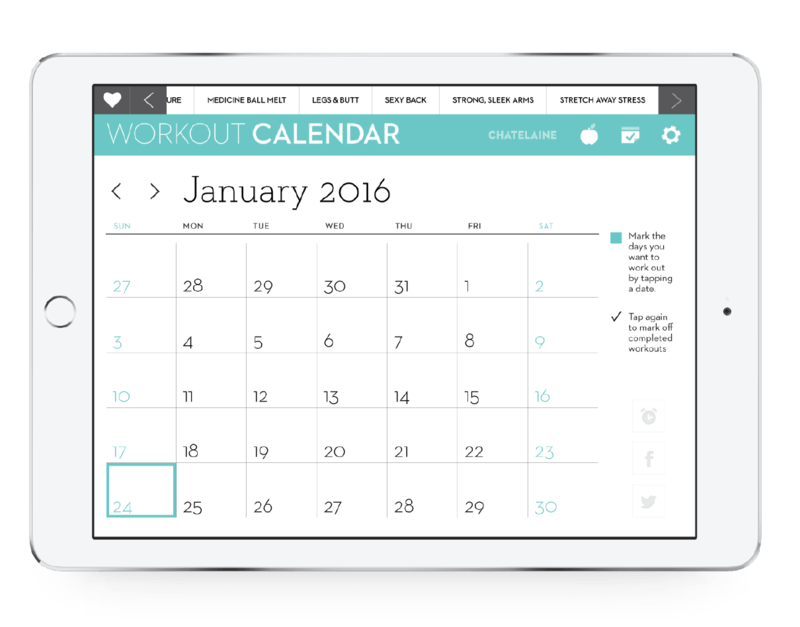 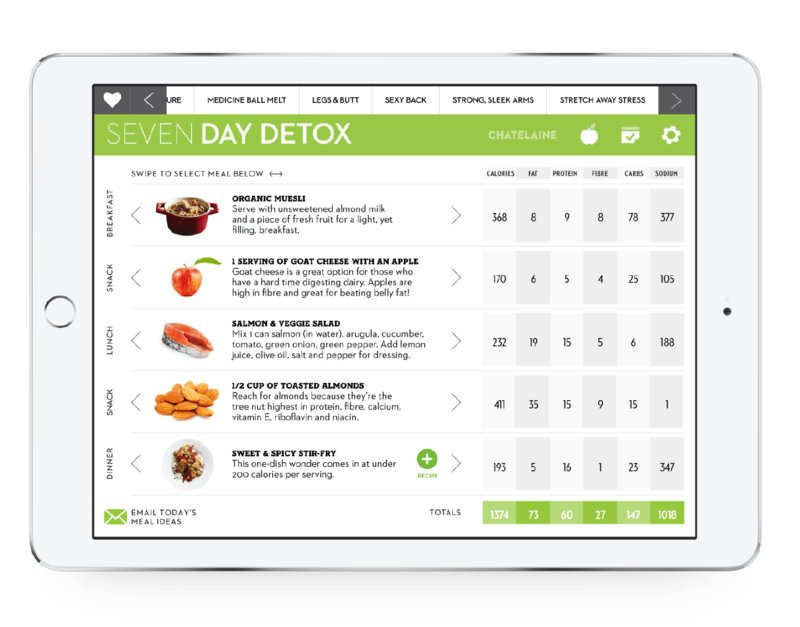 Users can flip through the target areas through tabs along the navigation, use the workout calender to track their history and look a the meal plan section for recipes and healthy eating suggestions. 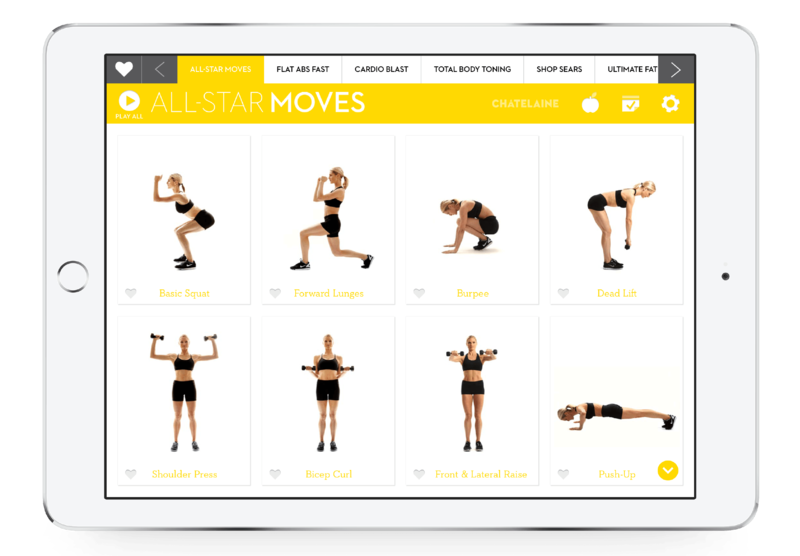 10-Minute Fitness has been featured by Apple as a top fitness app in 2013.